Her parents were volleyball players (her dad being an Arjuna Award recipient), and her sister was a National handball player. While Sindhu chose neither of these sports, it sure did give her an ambient environment to pursue her passion in sports. From connecting her at the right academies, providing her with all her basic requirements, driving her down miles every day for practices, to even shifting their base to Gachibowli for her training requirements. Her parents indeed played a major role in shaping her career. 2. Her dream to progress and soar. Her dream since childhood was to represent India in badminton. 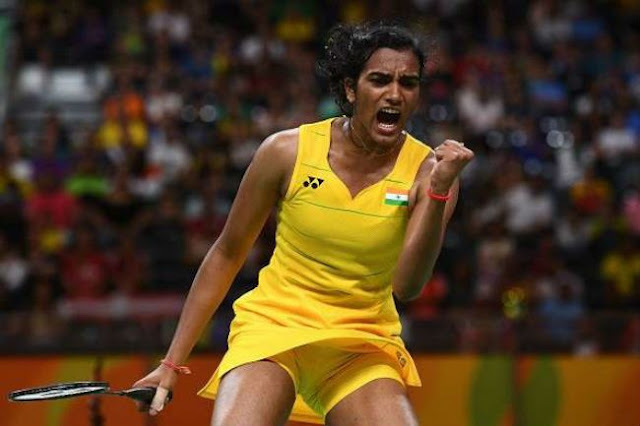 For a young 8-year-old girl, that could have seemed too far-fetched, but Sindhu pressed hard towards her dream. Whether it is facing the toughies on the field or bodily functions like periods, Sindhu never let these hold her back and rather confided in confidantes like the Stayfree Secure XL, that helped her Dream of Progress. 3. 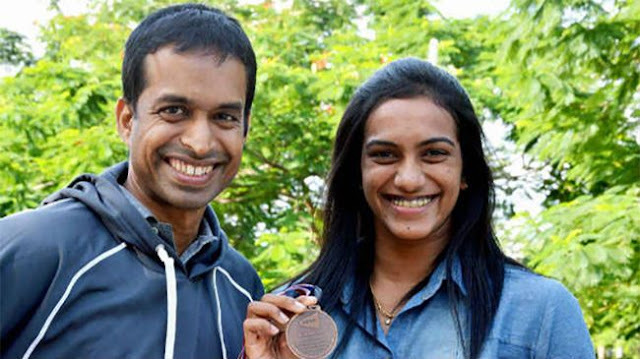 Her inspiration - Coach Pullela Gopichand. 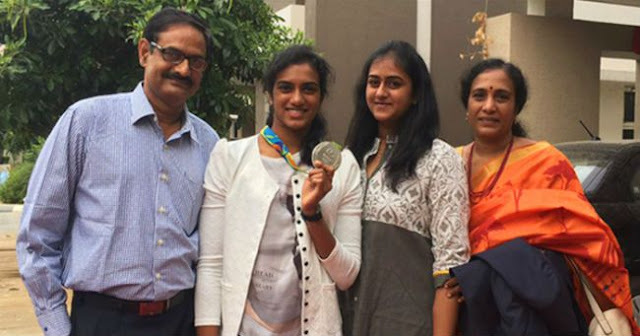 While her mom is her main inspiration, as she taught her to fight for her dreams and give each task her best, Pullela Gopichand's victory during the 2001 All England Open Badminton Championships, inspired Sindhu to start playing badminton. 4. Her perserverance towards her passion. Since the age of 8, Sindhu started shuttling between school, homework and training. Her dad used to drive her from Secunderabad to Gachibowli for her training, while she took naps in the backseat. Even at that tender age, she used to travel for 4 hours every day and never turn up late for practice. Even her social circle ended up being limited as she was hardly around in school and college, still the girl stayed focussed on her goal. Back then, this was a reflection of her determination to soar high with her hard work and commitment. 5. Her exponential achievements that pushed her to go higher. It all started when in the under-13 category, Sindhu won the singles title at the Sub-Juniors in Pondicherry. After which, there was no stopping at all. She played her first international tournament at the 2009 Sub-Junior Asian Badminton Championships and won the bronze medal, entered the Top 20 List of the BWF World Rankings in 2012, won the bronze medal at the 2014 Commonwealth Games in Glasgow and became the first female Indian to win the silver medal at Olympic Games. By stepping one milestone after another, she's been motivated only to run up and higher! 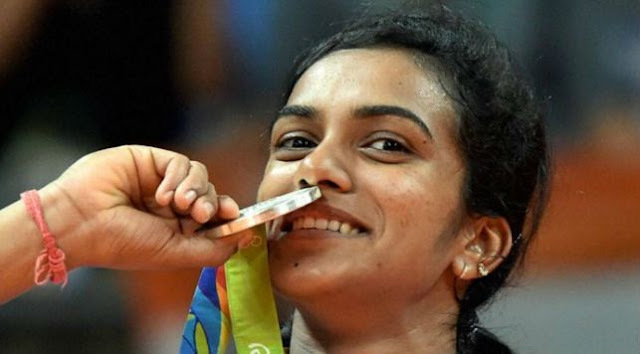 Just like Sindhu, all of us have dreams that we cherish in our hearts. But, not many of us manage to nourish and let those dreams sprout up high. We get scared of what the society might say, we bring in a million negative probabilities that could stumble us down, and so, often we just limit our dreams because of things that aren't even a problem! In Sindhu's interview, she shared her thoughts regarding this common phenomena due to which so many girls back out of their dreams. She said, "I have periods just like you. They are normal. Don't let them hold you back. I would encourage you too to never hold back during periods. I trust Stayfree to make me feel comfortable to push that little extra even during period days." Especially with the new Stayfree Secure XL sanitary napkins, one can have long-lasting protection and comfort during periods up to 12 hours. It is perfect to manage your heavy flow without the fear of leakage or the hassle of changing the pad every few hours. Something like Stayfree makes life so much more convenient and keeps us tension-free, while we are out on the run to pursue our dreams.